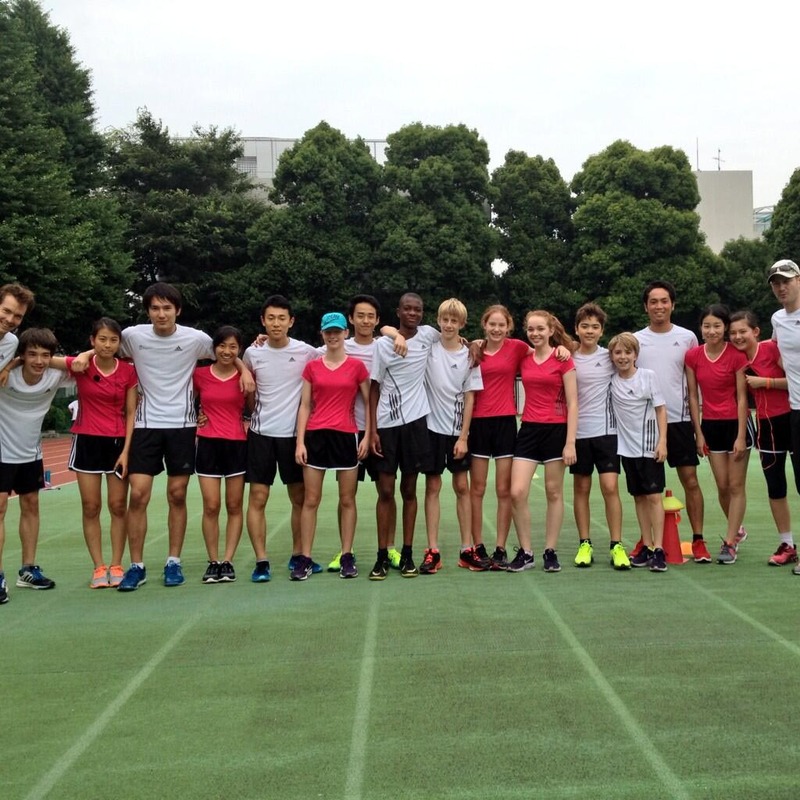 This year, The British School in Tokyo is marking its 25th anniversary. A yearlong program of events has been organized to celebrate not only a quarter-century of providing a British-style education to the international community, but also 25 years of warm ties between the U.K. and Japan. One of the highlights is a unique project that lets students get up-close and personal with Japanese history and culture while also raising funds for a planned school in Cambodia. A team of 16 students, six staff members and two parents set out Saturday to run the Nakasendo, an ancient route linking Kyoto and Tokyo. Although imperial messengers, or more specifically their steeds, are reputed to have completed the 540 km journey in 48 hours during the Edo Period (1603-1868), the British School’s team is covering the route in a slightly more leisurely six days. Departing from the Sanjo bridge in Kyoto, the team’s route will take them through all manner of terrain, including the Japan Alps, before they reach their destination of Nihonbashi in Tokyo on Thursday. The team is running in a similar style to the Olympic torch relay, with at least two runners tackling the route at any given time. They are being assisted in their endeavors by Walk Japan, a tourism company with a wealth of experience in leading treks off the beaten track across the archipelago. The students, most of whom are members of the school’s athletic club, range in age from 12 to 17 and have been practicing hard for the last six weeks in preparation for the grueling task ahead. The British School caters to more than 800 students of 58 different nationalities, aged from 3 to 18 years. While only students with a relatively high level of fitness have committed to the Nakasendo run, Maeda says that the whole school has been caught up in the spirit of the project. In addition to providing an opportunity for students to see a different side of Japan, the Nakasendo run is contributing to fundraising efforts toward the construction of a school in the village of Dor in rural Cambodia. The British School is partnering with United World Schools (UWS), an independent educational charity that helps children in impoverished communities around the world. Work has already begun in Dor, with The British School having committed itself to raising $25,000 this year, as well as to providing ongoing financial support for the next five years, until the new school become self-sustaining. There are also plans for teacher and student exchanges between Japan and Cambodia in the future. The school chose UWS for their charity partner based on Principal Brian Christian’s work with the group during his previous posting at an international school in Singapore. Christian is one of the staff members accompanying the students on the Nakasendo run, and while he readily admits to being the slowest member of the party, he is as determined as the students to see it through. To add an extra element of fun to the anniversary proceedings and to show his personal commitment, Christian has also announced the “12/12 Principal’s Challenge,” whereby he pledges to complete 12 tasks suggested by staff, students and parents. The first is the Nakasendo run, and the last task will be an attempt to learn a musical instrument from scratch and play it at an upcoming school concert. Most of the other challenges are still up for grabs. The school is looking ahead to more fundraising events later in the year, including a run around the base of Mount Fuji from Oct. 31 to Nov. 2, this time re-creating a pilgrimage route. A gala charity ball at the Tokyo ANA Intercontinental Hotel will follow on Nov. 7. Christian says that the school’s anniversary plans are focused on goals beyond merely celebrating its 25th year. For more information or to make a donation, visit www.bst.ac.jp/our-community/upcoming-events/nakasendo-way-relay.